With greatest pride we would like to present you our new product - YUGO 2! You've already known our first version of this product - Yugo carousel. Both products are made of galvanized steel and powder painted and equipped with all the same safety mechanisms like door blockade or braking system. 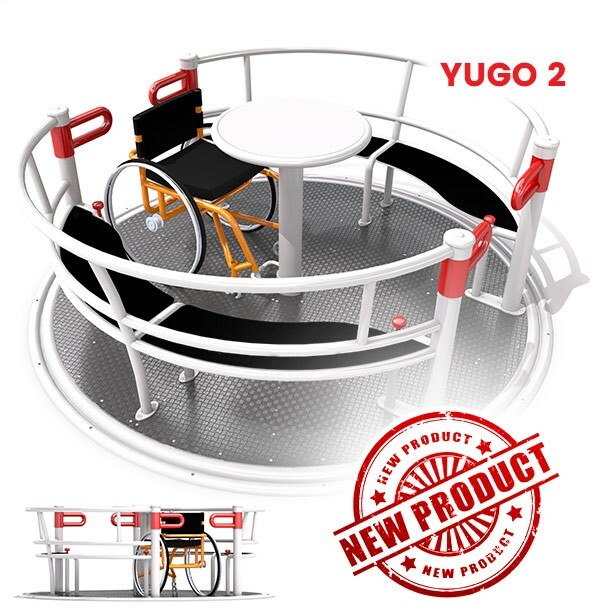 Moreover, Yugo 2 is full integrative product cause children with all abilities could play at one facility. Isn't it great? Yugo 2 is designed for 2 wheelchair users and 4 users which could sit on two double seats.